In no time at all the idea of creating inexpensive cards for people to give to others just burst from my heart into my computer and I had designed several cards. Then as the idea grew into a full-blown forest fire I designed even more, thinking of the people these cards could touch. ~Parents can put them in lunch boxes, back packs, on the bathroom mirror, or their child’s door or bed to support and congratulate. 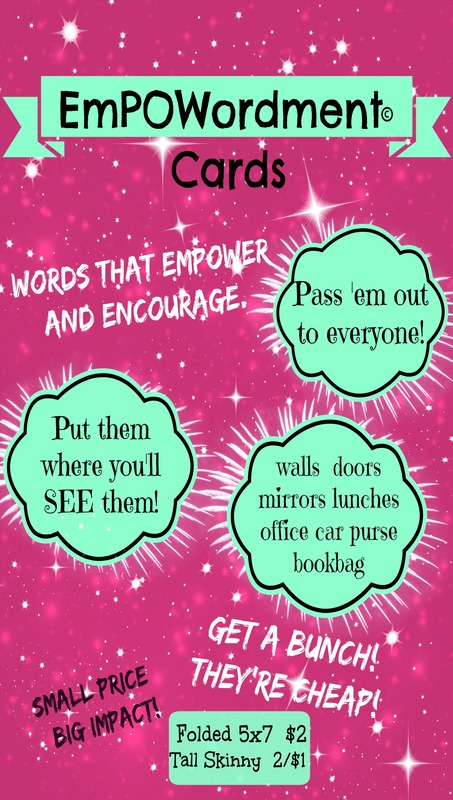 ~Teachers can hand them out as encouragement. ~Lovers can leave them in conspicuous spots. ~Workers can drop them on their friends’ desks. ~Military families can mail them to their loved ones. ~Those who send cards as a ministry will find them useful. My brain kept seeing new ways for these words to bring light into people’s hearts and lives. 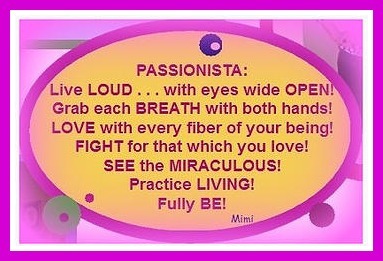 As Passionista, I designed many of them for the women I’ll be speaking to. To help them understand how amazing and awesome they are! To reassure them that they are not alone in their struggles and walk. That many of us have been through it. We survived. We blossomed. We are united. But I know that everyone’s spirit blossoms with encouragement so these are for YOU too. I hope that you feel encouraged just reading them! 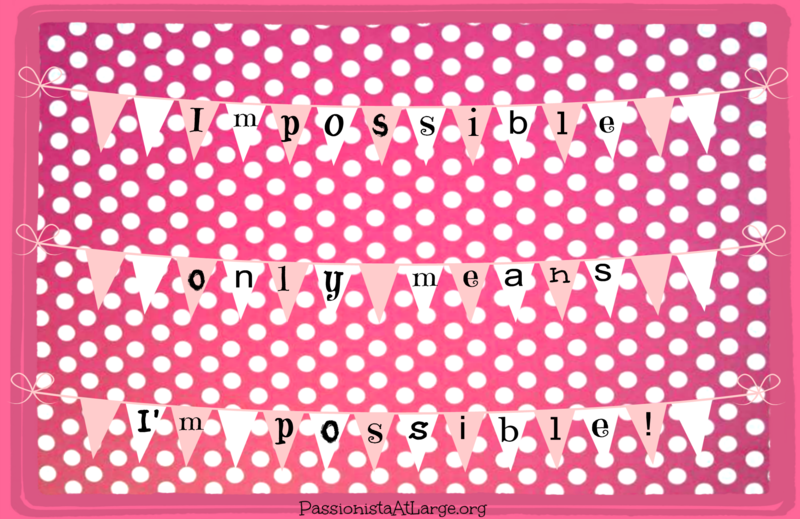 And if you’d like to pass them along via sharing and liking and pinning, that’s great! Please do! If, like me, you prefer the paper variety, something tangible you can hold, return to and reread when you need it, then I actually have these for SALE!! Can you believe it? Take a look. And I would be sooo delighted if you would share the word. I feel honored that my words will end up in the hearts and hands of others. Thank you for your encouragement and support. You are part of why I do this! May you have many sprinkles to share today!